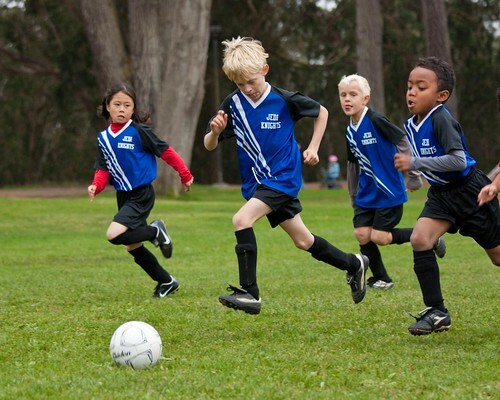 IS SPORT TOO DANGEROUS FOR KIDS? … AND IS THE VERTONGHEN TREATMENT BLOOD DOPING? Q: What’s all this about banning sport for children under 14. It’s a joke, right? A: No, it’s a serious proposal. A couple of years ago, a member of a high school board in New Hampshire, in the USA, created a fuss when he claimed American football was too dangerous and should be banned from the school. He didn’t get anywhere, of course. But he made some intelligent points. “A game that uses the head as a battering ram is not a smart game to allow a youngster to play,” he said. The National Football League (NFL) has been exercised by the problem of repetitive concussions in the professional game, so you have to believe this is a hazardous sport for kids. Check this video of the guy, making his argument. Q: So why has this bounced back into play now? 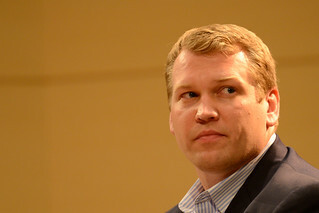 A: Because ex-pro wrestler Chris Nowinski (pictured below), who himself underwent treatment for brain trauma, was on BBC Radio and argued: “We know that the brain is much more fragile when they’re young and we know that the damage can be much longer lasting and change their development and they never become the person they were supposed to; so my concuss doctor, who treated me, said no sport should have repetitive brain trauma and tolerate it before high school – 14 – and that’s something I agree with.” You can check his audio. Q: This has been tried before, hasn’t it? But for different reasons: I can remember a Guardian article about ten years ago arguing much the same thing, but because of the detrimental psychological effects of sport on kids who were just not interested in competition. A: Correct. All manner of reasons have been advanced. But successive governments promote sports as a force for good. For example, it combats obesity, perpetuates the Olympic legacy and provides a good preparation for life. Q: Hang on a second … “good preparation for life”? A: Competition. In some people’s eyes, the world is a competitive, dog-eats-dog environment and a child who is habituated to competition in one sphere (like school sport) is well-equipped for the world outside. This is only an argument, I should add. I’m a sociologist, so I realize society is the product of cooperation, interdependence, joint action and, generally, working together. There is an element of competition, but societies are based on collaboration. In this sense, I guess you can argue that team sports are useful; but there is no evidence that success in sports at school translates into success beyond school. Q: Let’s get this straight: kids under, say, the age of 14 are vulnerable to brain trauma in any sport where collision is likely. That includes football, rugby and, obviously, boxing. And the competition they become accustomed to is not going to be of much value to them in the longterm. Any other downsides? A: I suppose you could think about the pushy parents who attend school sports and scream obscenities at the ref and rival competitors. If you banned sports for under-14s, the intimidating parents would have to shut up. Q: I’m detecting that you have sympathies with the argument, then. So when England get eliminated from next year’s World Cup, you won’t be wringing your hands and wondering what we should be doing at grassroots level. A: No: I’ll probably say it’s a good sign that we are ordering our priorities. I don’t mind a generation who prefer Xboxes to playing football, and tweeting rather than running school cross-country races. I think we place too much importance on sport, especially at school level. Having said that, most of the sports we follow as adults started as school sports. I’m including football and rugby. Boxing is one of the few sports that had adult origins. Q: While you’re here, what did you make of the Jan Vertonghen (below) story? The Tottenham player will have some of his blood removed, spun in one of those CSI-type centrifuges, have the platelets – the cells that assist the healing process – separated, and injected back into the injured area. The technique, known as PRP (platelet-rich plasma), is supposed to improve injury recovery time. Is this fair? A: Apparently, though I find it odd that we can approve of this, while banning blood doping, which is essentially the same manoeuvre, with blood transfused out and then back in. With blood doping, an athlete will go to a training camp at altitude where the oxygen is rare (e.g in Colorado, which over a mile above sea level); the body responds by producing more haemoglobin, which is very handy for endurance events. A sample of the haemoglobin rich blood is taken out, stored, then transfused back into the athlete’s body immediately before a big race. This is banned. Q: I don’t see the difference. If anything, the Vertonghen process would seem more artificial because you need a machine to spin the blood. This entry was posted in Uncategorized and tagged blood doping, Chris Nowinski, head trauma, Jan Vertongen, repetitive concussion, School sports on 13 December 2013 by . Could the World Cup be fixed? Should taxpayers pay for football clubs? Sponsors care about Fifa’s corruption. Do fans?